Why being positive and laughing at yourself is key to happiness. I don’t have many claims to fame, I leave famous people alone if I see them on the street - not that it often happens! However, I now know someone who is becoming more famous by the day, someone I got to know through a comedy “Meet-Up” group at The Stand here in Newcastle, it was even set up by the guy himself, Lee Ridley! 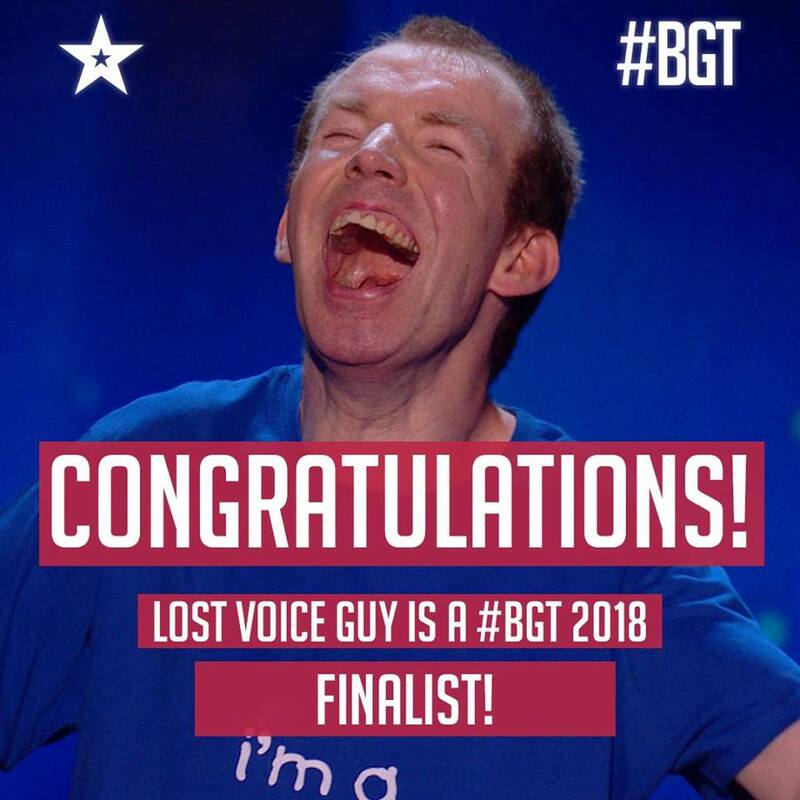 He’s most commonly known as ‘Lost Voice Guy’ on the telly (Britain’s Got Talent) and the radio – he has a comedy sketch show on the Beeb nowadays. Despite having cerebral palsy and being unable to speak at all, he’s one of the most dynamic, talented, focused and ambitious people I know. So, it was a real thrill to see him on the telly last night getting a place in the final of Britain’s Got Talent. It’s not every day you see someone you know getting a standing ovation! The point to all of this is that despite the obvious barriers to performing, his humour and positivity are a glowing example of why laughter, and not taking oneself too seriously, is paramount to a happier outlook on life. Often, it is said that people who laugh at themselves are happier – click here if you’d like to know more on the subject. Lee laughs at himself on stage and in the process has audiences falling about the place and are beside themselves with hilarity; apart from once when a group of nurses sat in the front row with faces as grim as a grim day in Grimsby! So, Lee Ridley thanks so much for being one of those people who’ve helped me look at life a little differently. Massive respect for getting into the final too. Everyone at Get Carter Productions is rooting for you, I liked your impression of the Queen, and I hope you win!